In the hit 2006 film The Devil Wears Prada, a dowdy job applicant stands before the fearsome editor of an iconic style magazine, played by Meryl Streep, and openly admits she couldn’t care less about fashion. The result? She gets the job. Now, new research from scientists at University College London suggests the brazenly honest approach taken by the fictional Andy Sachs actually works in reality. People who voluntarily bring up their flaws in job interviews are more likely to be successful because they stand out from their rivals, the data showed. In the case of lawyers, those who were up-front about their inadequacies had a five times better chance of landing a job than those who sought to convey a faultless image, while aspiring teachers were 22 per cent more likely to be successful. Psychologists say the dynamic is based on a concept called “self verification”, which refers to an individual’s drive to be seen by others in the same way they see themselves. The research found that interviewers are impressed by candidates who give a warts-and-all account of themselves because, subconsciously, it indicates they have a lucid mind. By contrast, people who attempt to convey a perfect image of themselves come across as inauthentic and too good to be true. The team analyzed nearly 2,000 individuals applying for various jobs and found that those using more self-verifying language tended to more successful. These include “insight” words such as “think”, “sense” and “feel”, which indicates a candidate understands themselves and therefore may have a better ability to navigate the demands of the new job. Peppering answers with so-called “seeing words”, such as “look”, “see” and “view”, also help to subtly convince an interviewer the candidate is being open about their weaknesses and not concealing any flaws, according to the new research, which is published in the Journal of Applied Psychology. However, the study revealed that the honesty tactic is only an advantage for high-quality candidates. People who are poorly qualified for a position are advised not to be too forthcoming about their imperfections. 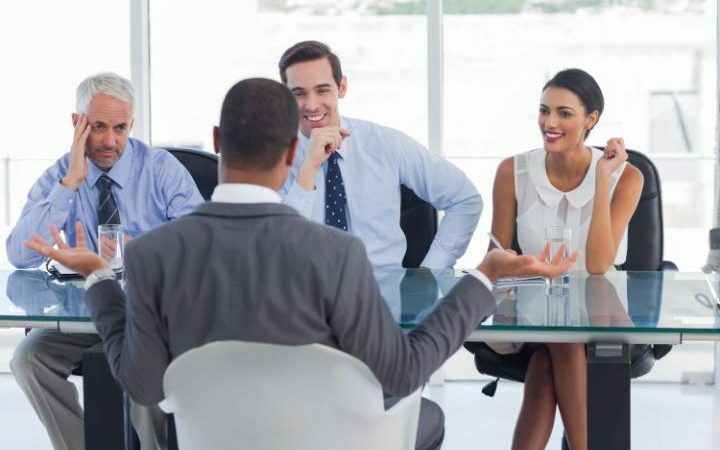 “In a job interview, we often try to present ourselves as perfect,” said Dr Celia Moore, from Bocconi University in Milan, who led the international team of researchers. “Our study proves this instinct wrong. “Interviewers perceive an overly polished self-representation as inauthentic and potentially misrepresentative. The researchers conducted three studies – two field studies looking at the importance of self-verification for groups of professionals applying for different jobs, and a third experimental study testing the mechanism behind the effects observed. The first study investigated a sample of 1,240 teachers from around the globe who applied for placements in the U.S. The candidates that had been evaluated as high quality had a 51% likelihood of receiving a placement, but this increased to 73% for those who also had a strong drive to be open about their strengths and weaknesses. The second study replicated this effect in a different sample by assessing 333 lawyers applying for positions in a branch of the U.S. military. For this group, high quality candidates increased their chances of receiving a job offer five-fold, from 3% to 17%, if they also had a strong drive to self-verify. This effect was only seen in high-quality candidates, and for those rated as low-quality, the drive to self-verify weakened their position. “People are often encouraged to only present the best aspects of themselves at interview so they appear more attractive to employers, but what we’ve found is that high-quality candidates – the top 10% – fare much better when they present who they really are,” said Dr Sun Young Lee, from UCL’s School of Management, who co-authored the study. Previous research suggests between 65 and 92 percent of candidates misrepresent themselves in some way during interviews.